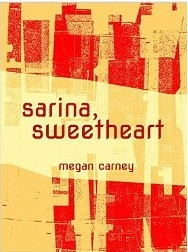 Megan Carney’s Sarina Sweetheart is a cleverly plotted and well-written thriller with a brilliant and determined heroine. Sarina needs to be brilliant, and she must take advantage of the smallest opportunity, because she’s been raised since infancy in laboratory confinement, studied, tutored, and subjected to involuntary surgery. She knows why: she was bred to be a biological weapon. From her restricted environment and meager opportunities she forges secret skills and plans to free herself without setting off a pandemic. The story is richly detailed yet simply and skillfully written. It’s also a compelling read.